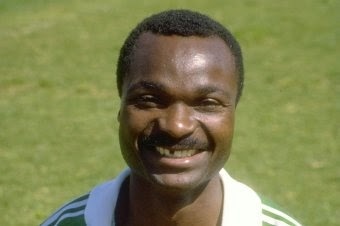 Roger Milla is one of the most iconic African players of all time. The “Old Lion”, as he is known in Cameroon, has made his mark in world football, becoming an idol of future generations across many African nations not only his native country of Cameroon. He has retired from football over two decades ago, but his goal celebration at the 1990 World Cup remains one of the most incredible moments of World Cup history. Here are 5 less know facts about this great player. He signed with his first club at the age of 13. He was a football child prodigy, and his talent was obvious at a young age. At the age of 13 he signed with a local club in Doula and went on to win his first league championship at the age of 18. He was named African Footballer of The Year in 1974. His world fame came during the 1990 World Cup, but he was already a household name in Africa way before that time. Playing for the Tonnerre Yaounde, Milla was named the African Footballer of the year. After receiving this award he moved to France to play for Valenciennes and then later on AS Monaco, Bastia, Saint- Étienne and Montpellier. He announced his retirement from international football in 1988. He then moved to Reunion Islands for nine months. A friend of his who own a local team asked him to play for them, which led the Cameroonian President Paul Biya to insist he rejoin the national team to play at the 1990 World Cup. Good thing he accepted the request of the president. 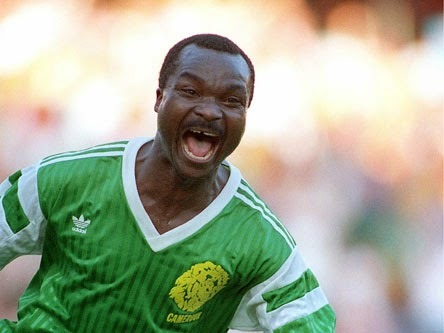 Cameroon has an incredible display at the 1990 World Cup, helped by Roger Milla, the team reached the quarter finals. His impact was noticed by professional teams, and the most serious offer for his services came from Walsall. Walsall wasn’t able to pay the $1 million asking price for Milla and he would end up playing for a local Cameroonian side as he finished his career. In the 1994 World Cup match against Russia, Milla scored in a 6-1 defeat becoming the oldest player to have scored at a World Cup. At that time he was also Africa’s oldest international player. This last record was broken when 43 year old striker Kersley Appou played for Mauritius in the 2014 Africa Cup of Nations.